Thank you for your kindness and for all your hard work. My teeth are Great. After some 18 years ot dental treatment from Andrew I would not choose to be treated by any other dentist. I have had a few fillings and two teeth removed during the last few years but generally my teeth stay in good order. The atmosphere of the clinic has always been welcoming and friendly leading to the best of treatment. I just have to add my thanks for the best of treatment received at each visit. I came to see Andrew and Louisa on Friday for routine check up. Andrew took three X-rays to check the develop of my on-going gum problem and the status of the bone underneath. He explained very patiently of the comparison of this X-ray and the last one, then gave instructions of my tooth care routine. Then I went to see Louisa for cleaning my teeth. Always very thorough and conscientious. The receptionist is always friendly, courteous. 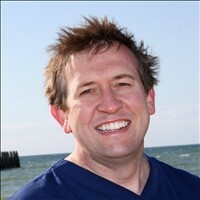 The atmosphere and professionalism of the Ocean Dental Practice always put me at ease and overcome my fear. I love this practice and Andrew is probably the best dentist I have ever had. He is always positive and constructive in his advice. I would recommend this practice to anyone. Mind put at rest after a check by Andrew to see all okay following an extraction the week before. I would like to say a big thanks to Andrew and his team for seeing me at very short notice and carrying out an extraction skillfully and with humour.